The Land of Grace is at once a critique of religious faith, a comic romp through the weirdness of Elvis culture, and a horror story in which death and resurrection aren't so much an Easter miracle as a recurring nightmare. There's something a little unsettling, a little frightening, about the best and earliest music recorded by Elvis Presley. I'm thinking about the magical and mystical Sun Records recordings from 1954 and 1955, about the obviously haunting "Blue Moon" and about the lonely, lonely "Tomorrow Night", but I'm also thinking about the more upbeat "Mystery Train" whose haunted history reaches back to Junior Parker, the Carter Family, and deep into the haunted places of American music, both black and white. The music is spare, almost hollow. Elvis's voice is at once both youthful and ancient, exuberant and lost, its echo like a shadow cast upon the ages. It's not just those Sun recordings that strike me as scary, I have to say. I find something eerie in much of Elvis's music, in "Heartbreak Hotel" and in "Hound Dog", too. Listening to Elvis, for me, has always been about listening to a dead man. His tragi-comic death looms large in my personal history – as it does for many. In many ways, his death is as essential to his story as his life. The spark of divinity (and how else can we describe his sound, his looks, his movements, his meaning?) lived alongside his Southern earthiness. The glories of his achievements were matched by the tragedy (and comedy) that was his death. There's no Jesus without the cross. There's no Elvis without the commode. When I listen to Elvis, the youthfulness and energy of his talent is always filtered through the grainy image of his bloated corpse. When I listen to Elvis, I am always listening to Dead Elvis. His voice comes from beyond the grave. He is a ghost. There's something about the juxtaposition of the divine and the human that has kept Elvis alive (and dead) in popular culture. My research into the religious-like responses to Elvis's death explored the myriad ways that fans and artists, both sincerely and ironically, have brought religious resources to bear in their attempt to understand the life and death of the King and in so doing, have found in Elvis a way to understand and to talk about religion. Unlike many commentators on the Elvis phenomenon, I didn't find any evidence of a burgeoning Elvis cult but instead recognized the Elvis religion phenomenon as being more of a creative, often-times hilariously ironic, form of artistic expression and cultural criticism (though there's no denying that there are plenty of cases of sincere devotion among Elvis fans). Novelists and filmmakers have tended to produce some of the most compelling visions of Elvis Presley as a religious icon. Among the former, P.F. Kluge's story of a trio of Elvis impersonators, Biggest Elvis, and Chris Abani's Graceland, the story of a young Nigerian Elvis impersonator, are among the best. These novels, like Elvis, embrace the tragic and the absurd, and are at once both moving and comic. 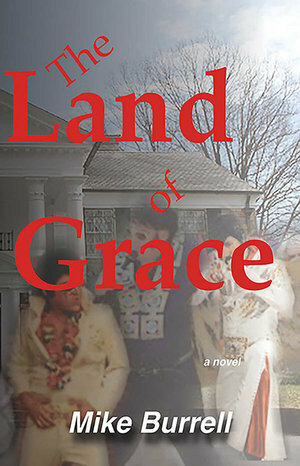 The new novel by Mike Burrell, The Land of Grace, is also a reflection on the Elvis phenomenon, taking as its premise the existence of a literal Elvis cult. 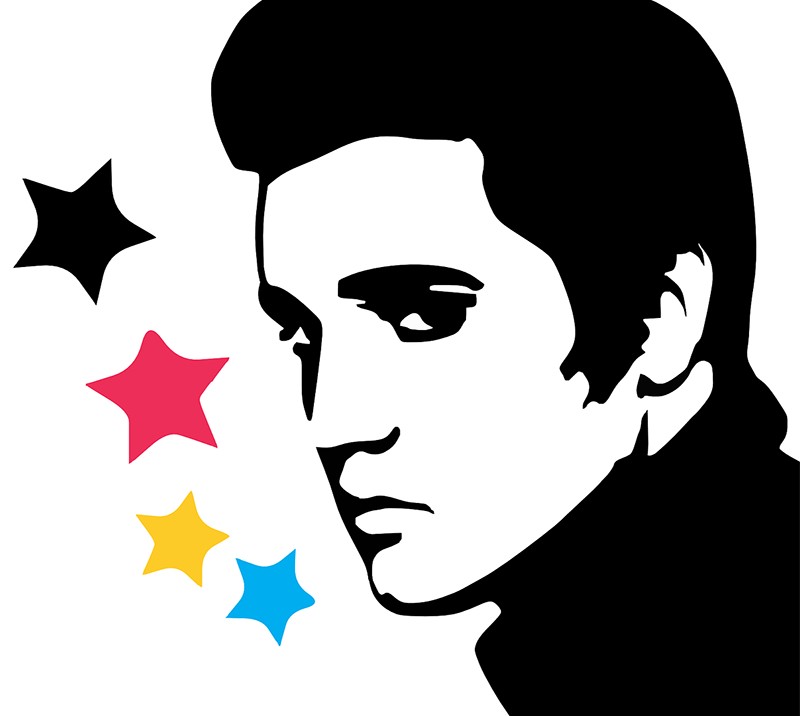 Burrell imagines what I did not find in my quest for the Cult of the King, a new religious movement built around the life and death of Elvis Presley. The book's success -- and it does succeed -- lies in Burrell's ability to see the power of Elvis's personality and talent as well the ridiculous humanity that marked his life (fried peanut butter and banana sandwiches) and his death (a substitute corpse made of wax and sightings of Elvis, post-passing, at the donut shop). It also succeeds because Burrell's Elvis, like the Elvis I cannot but hear, is Dead Elvis. Burrell sees the horror in all of this, in the tragic death of a man at the early age of 42, in drug abuse, in fan-culture's blind obsession with popular figures, and in the dangers of religious devotion itself. It's from these dark strands that The Land of Grace weaves its darkly hilarious tale of Elvis religion. The book's protagonist is a type whose existence I know to be true, an Elvis impersonator (Tribute Artist) who performs as Elvis in front of small crowds of aging, mostly female fans in National Guard armories on back streets of small towns across the heartland. Doyle dresses like Elvis, styles his hair like Elvis, sings and dances like Elvis, but deep in his heart he knows he's no Elvis. That knowledge is something that proves to be dangerous for him to forget as he finds himself recruited by some of the world's greatest Elvis fans, who live in a fenced and guarded compound deep in the heart of Alabama, to join them as a permanent resident. Doyle, fed on food fit for the King and given all the happiness he can stand in the form of pills dispensed like candy, discovers that inside the fence Elvis is still alive. Sunday worshipers gather to see Elvis, fat and high, perform on stage in the church of Our Lady of Taking Care of Business while the words of scripture, the Book of Gladys, give comfort and direction to the congregation. Doyle is soon immersed in a world where the followers of Elvis look for guidance from a cast of characters straight out of the star's life. "Mama" is the driving force behind Elvis and the devotees who live and worship in the land of Grace, with "Priscilla", "Colonel Parker", and Elvis's inner circle, the Memphis Mafia, standing at her side. From the shadows, "Dr. Nick" lurks and leers, as he did in the halls of Graceland, always ready to dispense his kind of care to anyone in need. What starts out as a fun and funny lark, for both Doyle and the reader, doesn't take long to turn a good bit darker. This church knows the secret of Elvis. The congregation knows that his decline and his death are a central part of his story, that without the tragic ending, Elvis would have ended up like so many other aging stars who outlived their times and faded, if not into obscurity, at least into the pages of text books and Netflix documentaries. In order for Elvis to continue to live, to be truly bigger than life, he had to die. In order for Elvis to be divine, to be resurrected and made young, he has to die, like Jesus on Good Friday, over and over again. In The Land of Grace, Burrell delivers a genuine page-turner that is both funny and disturbing. When Doyle, himself a version of the young and fully alive Elvis Presley, makes a break from the compound with a fat and dying Elvis in tow, I found myself both laughing and shuddering at the ridiculous tragedy of it all. The story of Doyle, the Elvis impersonator whose impersonation of the King becomes too good, is a smart and funny tale that never averts its gaze from tragedy and death nor from the dangers of devotion itself. The Land of Grace is hard to characterize, at once a critique of religious faith, a comic romp through the weirdness of Elvis culture, and a horror story in which death and resurrection aren't so much an Easter miracle as a recurring nightmare. It works as well as a book to pack for the beach as one to curl up with on a dark and stormy night. Indeed, it's itself a little bit like Elvis in that sense, a little bit "Blue Hawaii" and a little bit "Blue Moon".